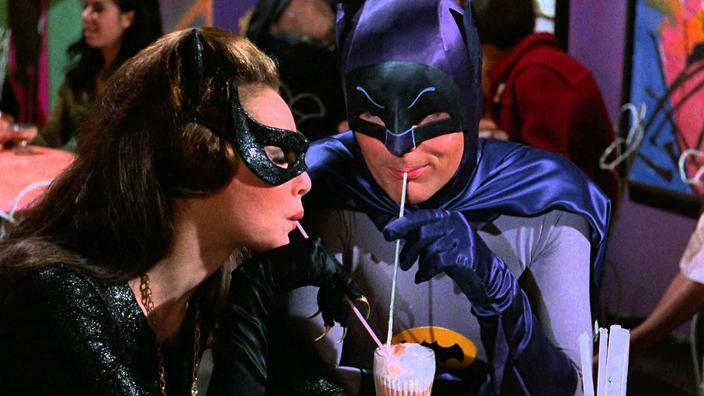 Catwoman (Lee Meriwether), Joker (Cesar Romero), Penguin (Burgess Meredith) and Riddler (Frank Gorshin) have teamed up and hatched a plan to extract money and power from the world. 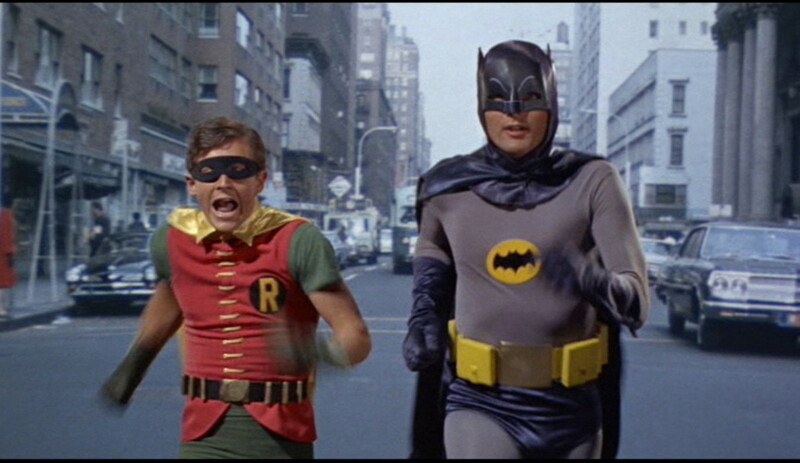 Now all that’s needed is for them to defeat Batman (Adam West) and Robin (Burt Ward) to make sure that they don’t destroy their plan. The 60s TV show and film are a unique experience. It’s the epitome of silliness. They’re pretty much the funniest thing ever and I love it everytime. Batman: The Movie knows what it wants, what it is and how it can be the best film that it sets out to be and succeeds on all counts. I think that’s mostly due to the fact that it not only knows what it is, but that it actively delights in its own existence. It’s simply wonderful. The way they revel in silliness is beautiful and quite infectious. The riddles and their solutions! The dialogues! The “logical” conclusions drawn! It seems tailor-made to make me personally giggle. Or at least I’d think so, if it didn’t make so many other people giggle as well. There is no trace of anything grim and dark here. It is easy to see why following films would want to turn against bright colors and give Batman back a bit of his threat, but I love this bubble gum-version as much as the more serious takes on the character. In some ways even more. In any case, the film is iconic and I urge everyone to watch it at least once. But chances are that once you’ve seen it, you’ll want to re-watch it (and the series). Summarizing: So much love. One of my absolute favorites. 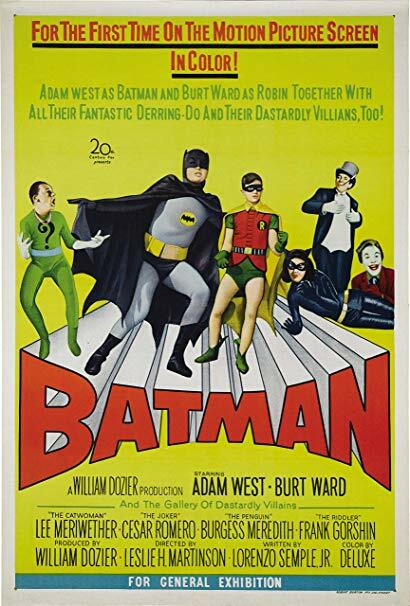 This entry was posted in movies and tagged 1966, Adam West, Alan Napier, Batman, Batman: The Movie, Bill Finger, Bob Kane, Burgess Meredith, Burt Ward, Cesar Romero, Frank Gorshin, Lee Meriwether, Leslie H. Martinson, Lorenzo Semple Jr., Neil Hamilton, Re-Watch, William Dozier by kalafudra. Bookmark the permalink.